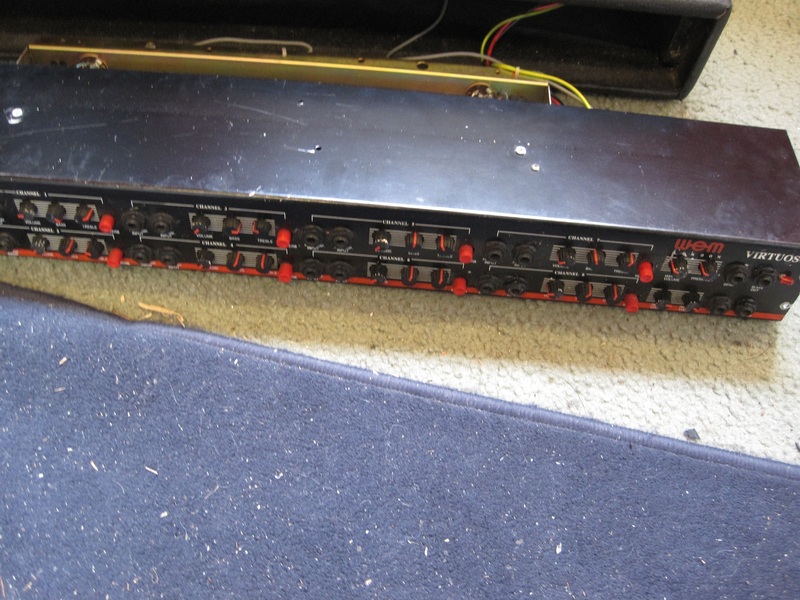 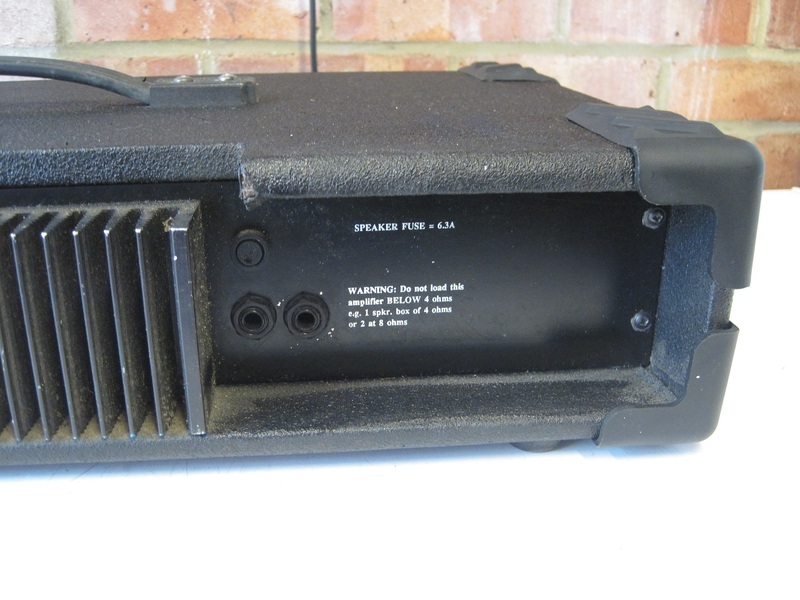 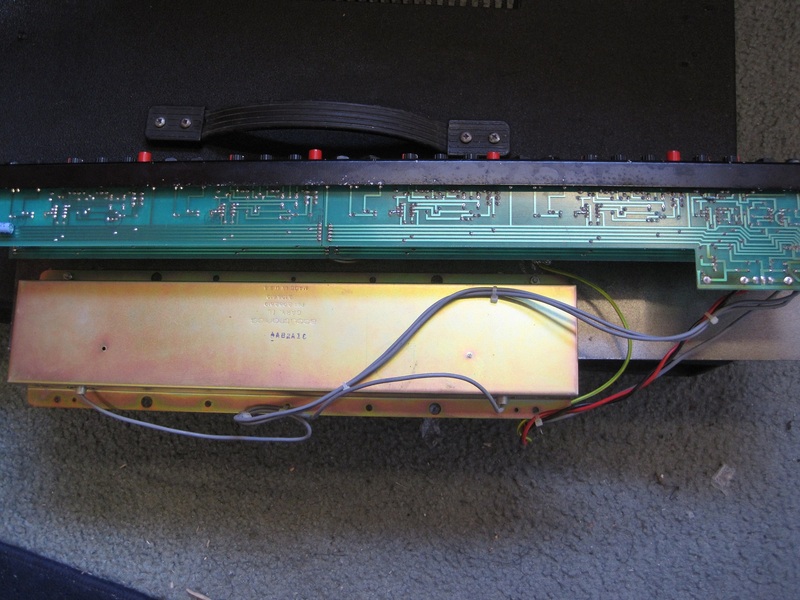 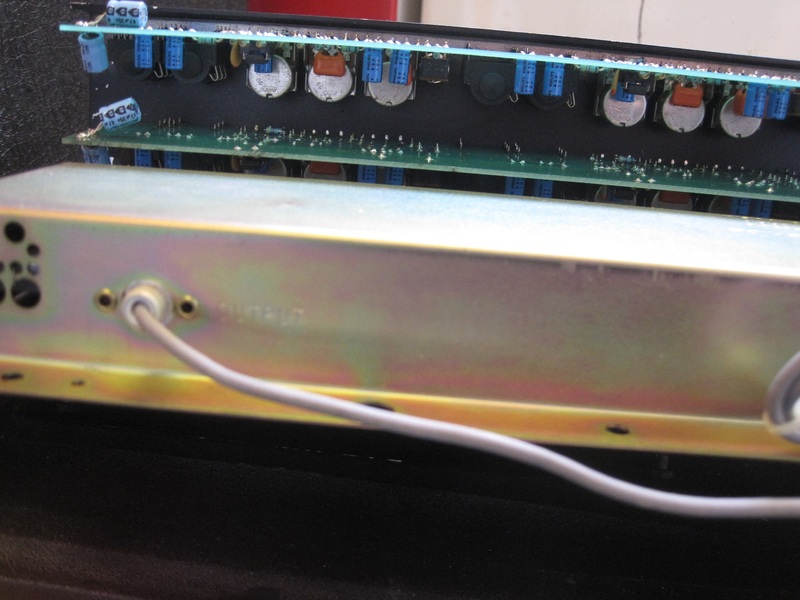 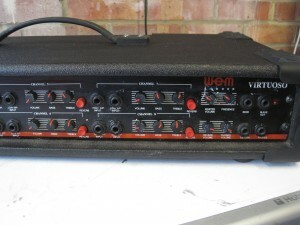 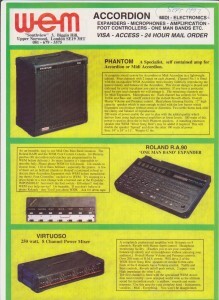 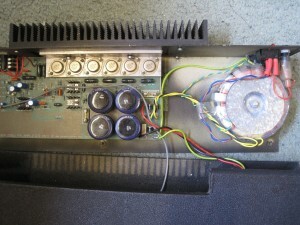 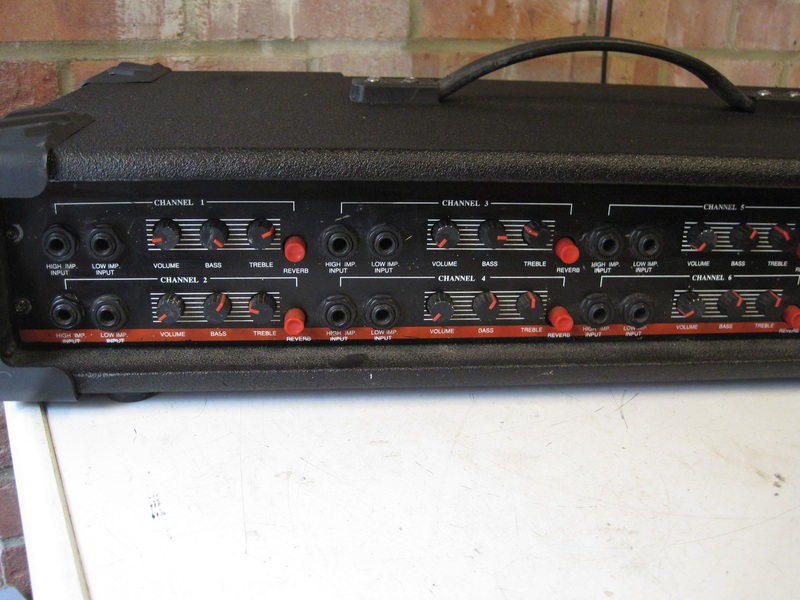 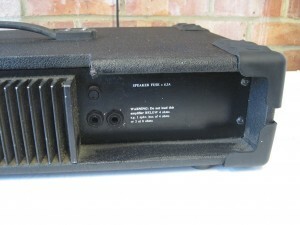 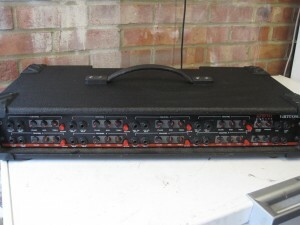 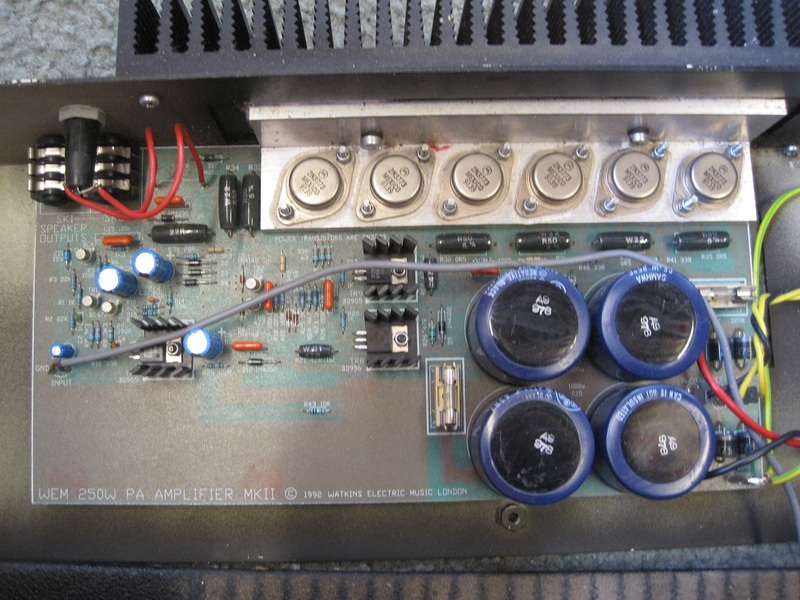 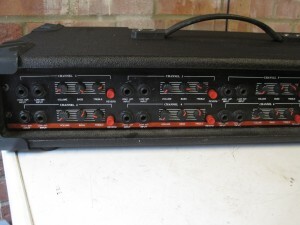 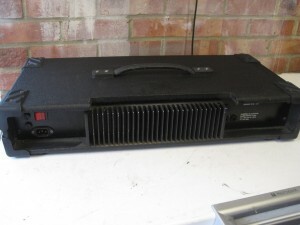 This is an 8 channel PA head which comes from the 1990s Soundman period and range. 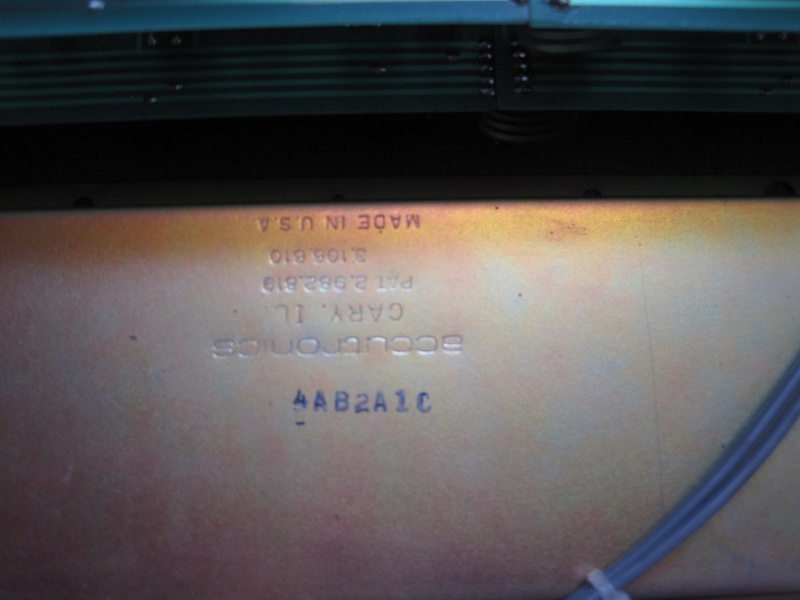 It has 6 x 2N3773 output transistors and I suspect it was rated at 250 watts. 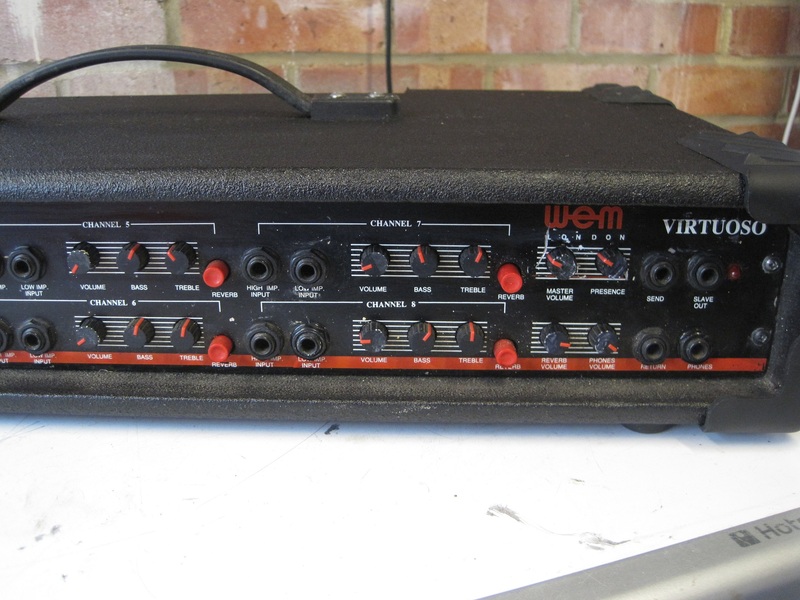 It certainly packs a hefty punch. 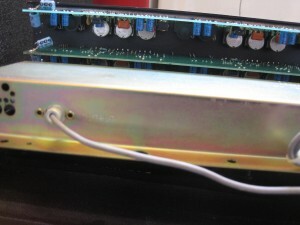 Each of the 8 channels has 2 jack inputs, one high and one low impedance. 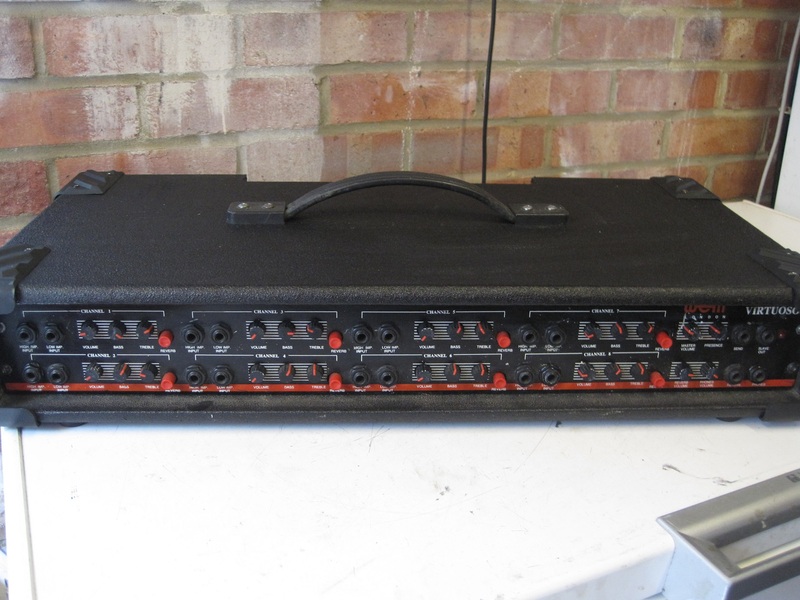 Each channel also has volume, bass and treble controls plus a push-button on/off switch to control the built-in Accutronics spring reverb. There are master volume, presence, reverb volume, and phones volume controls which operate across all the channels. The front panel also has Echo send and return sockets plus jack sockets for slave out and headphones. 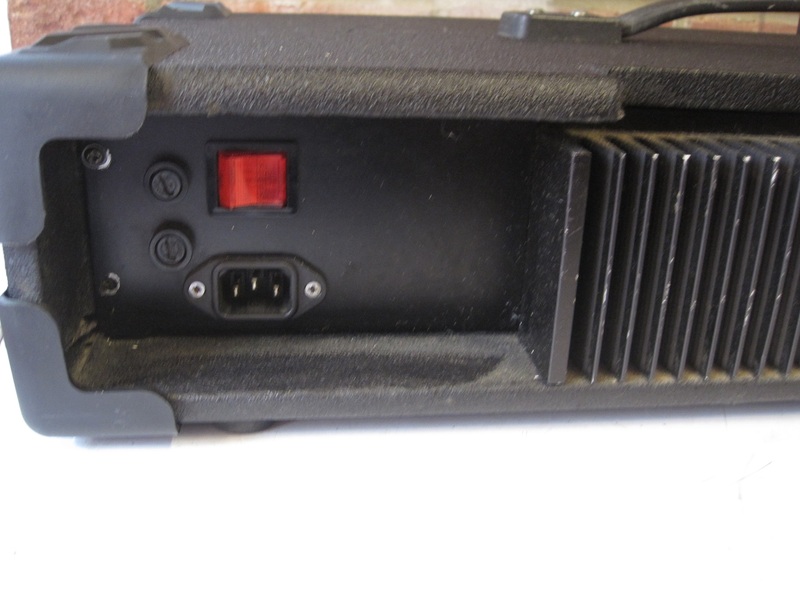 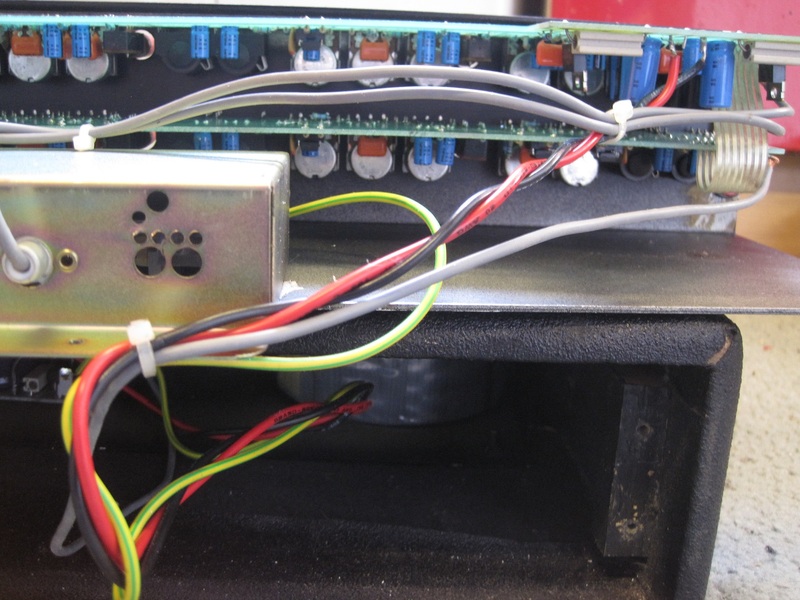 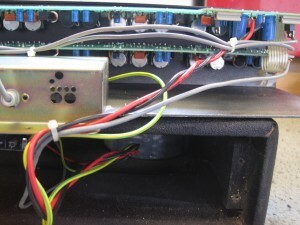 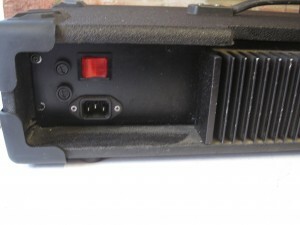 The rear panel is pretty basic with a mains on/off switch, twin speaker output sockets, a couple of fuses and an IEC mains input connector.